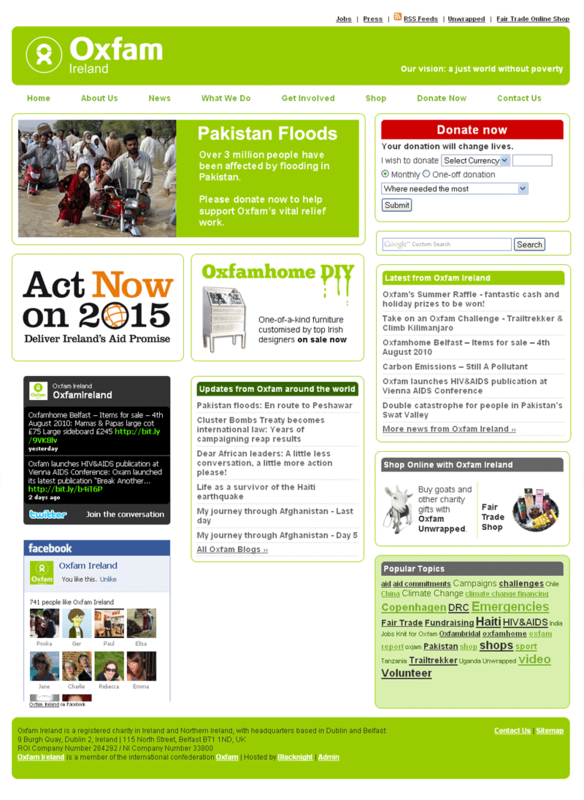 Click the image for some large screengrabs of the new website. I researched a number of CMS options, and in the end came back to good old WordPress. The excellent WordPress MU system allowed me to set up a WordPress installation with multiple blogs (a feature that is now available in WordPress 3.0). WordPress MU is good deal more challenging than WordPress, as there is less online support available, and I found that I had to hack, slash and burn my way through templates, code and plugins in order to get everything working. I’ve done lots of WordPress customisation before, but this was the most complex one yet. It was very satisfying – I learned a lot and ended up with a really nice CMS that has lots of excellent features. Updating is so much quicker than it was before, and best of all, content is output in a really useful, flexible way. Our feeds are going to other sites and social networks without any duplication of work. Sitewide feed – creates a feed of all posts from the multiple blogs. Tricky to get working as the plugin is no longer supported – there’s probably a better solution in WordPress 3. Latest Posts by Category Archive – this plugin enables you to show latest posts in a single category on a page. 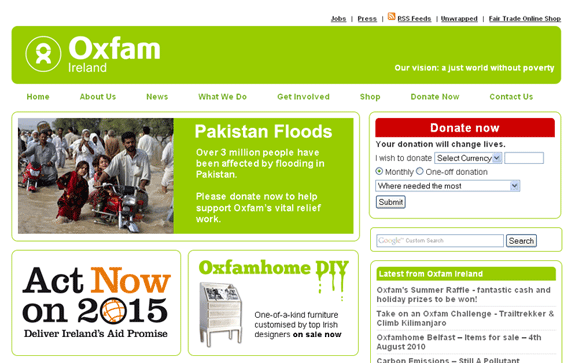 Really handy for a site such as Oxfamireland.org – I can now automatically feed the climate change news to the climate change campaigns page, for example. Mass Page Maker – also a lifesaver. WordPress is great for many things, but creating or duplicating lots of pages is not its strength. This plugin allowed me to create our 50+ shop pages all in one go, and much more. CMS – this plugin makes handy adjustments to the WordPress backend, allowing the administrator to drag-and-drop pages, and add multiple content blocks to pages.